Article Title: Selective surface characteristics and extraction performance of a nitro-group explosive molecularly imprinted polymer. 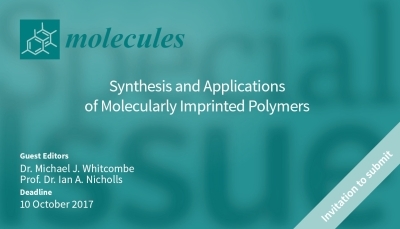 Abstract: A novel molecularly imprinted polymer (MIP) was synthesized as a highly selective and specific sorbent for solid phase extraction (SPE) of 2,4,6-trinitrotoluene (TNT). TNT-MIP was prepared by bulk polymerisation process using 2,4,6-trinitrotoluene (TNT) as template, methacrylic acid (MAA) as the functional monomer and ethylene glycol dimethylacrylate (EGDMA) as the cross-linker. Non-imprinted polymer (NIP) was prepared under the similar procedure but without the addition of template as a control polymer. Prior to analysis, the polymer monoliths were ground and sieved in the range of 25-38 μm before incorporated as SPE sorbent. The TNT-MIP and NIP performance validation were analysed by high performance liquid chromatography (HPLC) at 254 nm of UV detector. The limit of detection (LOD) and limit of quantitation (LOQ) range were 0.03-0.07 μg/mL and 0.05-0.11 μg/mL, respectively. 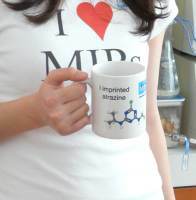 The MIP showed excellent selectivity towards the template, TNT with percentage recovery and RSD value, 94.1±13.7 compared to TNT's metabolites, 4-amino-2,6-dinitrotoluene, 4-ADNT (31.7 ± 27.2) and 2-amino-4,6-dinitrotoluene, 2-ADNT (41.2±6.1), respectively. 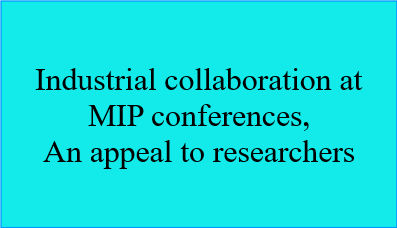 The physical imprinting effect of MIP and NIP was characterized by using scanning electron microscopy (SEM) and Brunauer, Emmett and Teller (BET). Evaluation performance proved that the developed TNT-MIP was good in TNT selectivity and could be applied in real samples analysis.